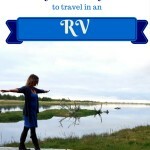 The cost of living full time in an RV varies from family to traveler. For our family, costs have changed as the kids have grown into teenagers and have different needs. Today our greatest monthly expenses are food and campsite fees. For our family we just took our normal expenses and shifted them over to our new life. We no longer had a house mortgage, utility bills, and home insurance. 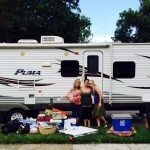 Instead, we had a motorhome (which we paid off with the sale of our house), RV insurance, and registration. Food is our number one cost. We have decided that the food we buy for our family is money invested into their healthcare. 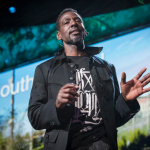 With my eyes opened after researching autism when Ethan was born, I became aware of the nasty ingredients being snuck into our American food system. So, I spend extra money on organic foods as much as possible, especially the Dirty Dozen. I have also eliminated high fructose corn syrup from our diets, as well as the dyes. I shop at Costco and Trader Joe’s to save money on produce. I guess my kid’s inheritance is going in their guts! 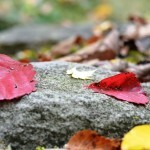 Campsites are the next biggest cost for our family. We estimate in a typical year our average stay is around $30 a night in camping site fees. We know some travelers who hardly spend a dime on camping as they boondock or dry camp – use no hookups such as water or electricity. When the kids were younger we did this more often, however with so many people living in the RV our black tank fills up quickly and our clean water becomes depleted. If it was just Jon and I we could hook up some solar panels for electricity and last a week with our water and sewer. Now as teens, our kids are also not as interested in playing in the vast wilderness as they once were. On the other hand, I have noticed that we spend a lot less on clothing, shoes, and household items because there is no where to put it! We have been able to simplify our wardrobe. The household items become simplified – one vase, one mixing bowl, one water glass, etc. The need for the latest gadget is ridiculous unless we could hang it from the ceiling at this point. Which, I may try with Jon’s guitar..
One area where I used to save money, was buying in bulk. I had a pantry system in my house where I could stock up on good sales and coupon items. In the RV, I am limited to how many items I can buy at a time. My pantry has become a blue tote behind our one chair. The kids call it the “Special Box.” And sometimes the deal is SO good I get weak and soon there is a pile of 12 kleenex boxes in the back of my van tumbling out. Or an 18 roll toilet paper bundle plotting to take me out like a WWE Smack Down. We also spend more money on gas as we power a motorhome that gets about 8 miles per gallon as it tugs a 4,000 pound Honda Odyssey behind. Poor Dear. Depending on our route for the year we can choose how much to spend on gas based on how much we travel. But..I sorta like to wander a lot as you know. The biggest spending change for us has been attractions and eating out. We decided this was part of the experience we were giving our kids and ourselves. While there are plenty of free things to do in the areas we visit, we also like to see some of the bigger attractions because that is the fun of this traveling gig! And eating out, well, Jon and I have become food snobs and love sushi, authentic Thai restaurants, local craft breweries, local coffee roasters, and really good good food. These are all costs that we choose to spend money on. Why not live it up while you can? Here are some travelers who are more organized than I am and can give you a clearer picture of how much it costs to live full time in an RV. They are so kind as to break up their monthly spending into a thing they call a budget with lines and numbers and stuff. 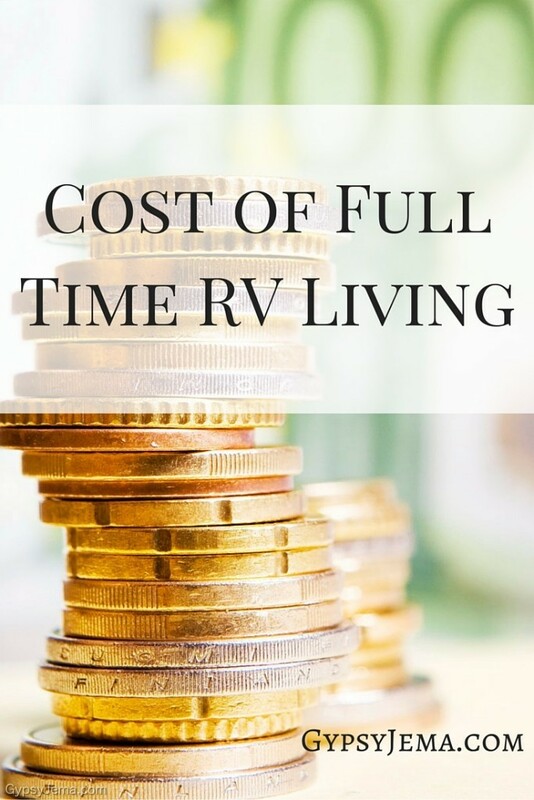 The cost of full time RV living is similar to a lot of typical home owners. Perhaps, the difference is that we have the freedom to choose the extent of our expenses we want to pay to someone else for our night’s stay. And now I can’t stop thinking about how to get that guitar up there..hmmm..
You Want To Live In A Camper? I love what you wrote about buying organic. Yes, it costs more, but it truly is an investment in good health! Hats off to you & your family for sticking with it and giving your kids a great learning experience! So good to hear from you! Yes, it is an investment as that seems to be where most of my money goes! We have had an amazing time with our kids, thank you so much. Hey thanks for following our Instagram. Our family is just launching our full time adventure next month. So excited. One question, what kind of camping memberships if any have you looked at. We just bought a Thousand Trails and RPI membership as well as Harvest Host in the hopes of giving our 11 year old some neat experiences. What have you invested in or looked at? Looking forward to reading more of your site. Thanks for reaching out Ryan. So excited for you all, congratulations! The one that saves us the most money is Thousand Trails. And if we are staying in an area we will extend our stay at a TT campground with our Ready Camp Go card. At times we will also use Passport America which I would wait on getting unless you need it. And with our Camping World membership we have the Good Sam Discount which saves about 10 percent off of select campgrounds. And just so you know, a great way to meet other families is to attend a rally by Fulltime Families. They usually have a couple a year.